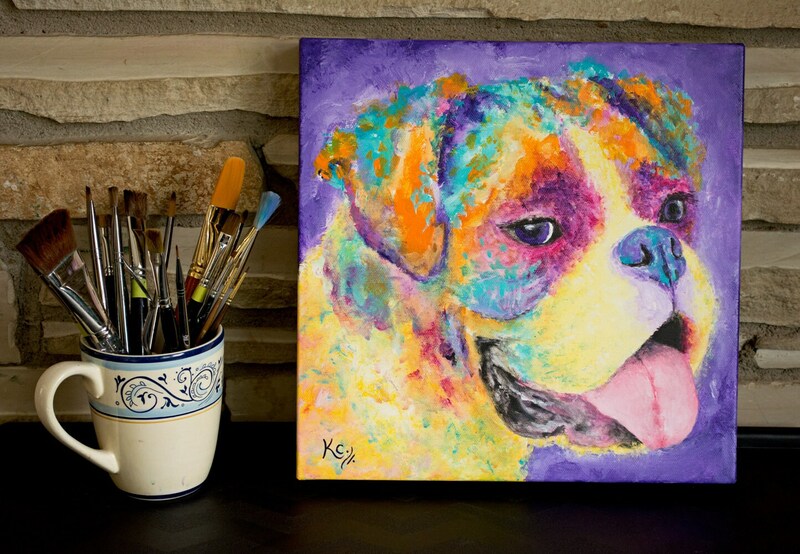 Boxer Painting, Original Dog Art. I painted "Boxer" in 2017. It is a handmade original painting. 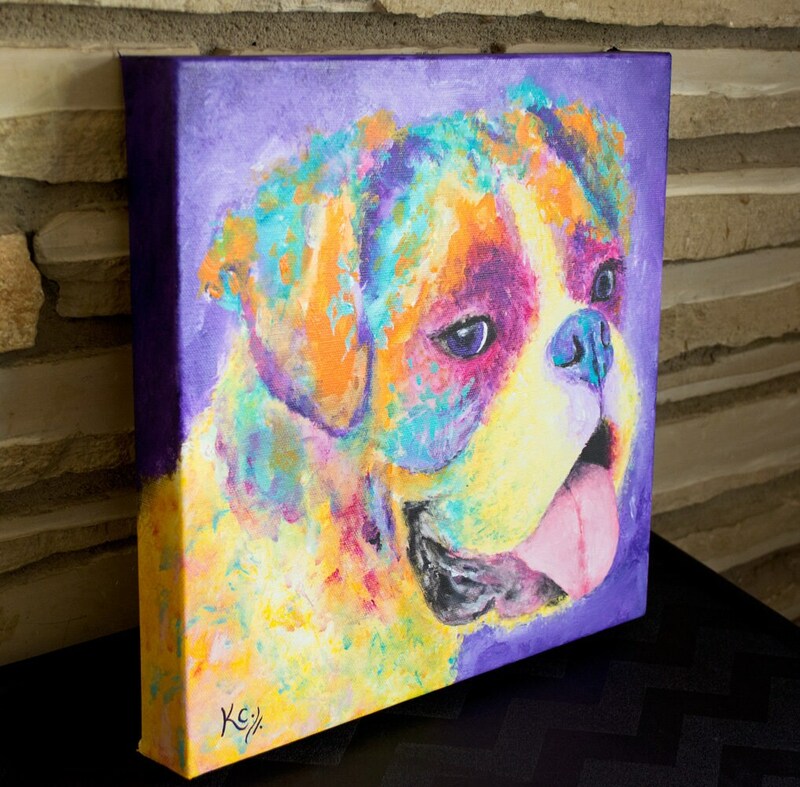 This artwork is a visionary impressionist style pet portrait of a beautiful Boxer. 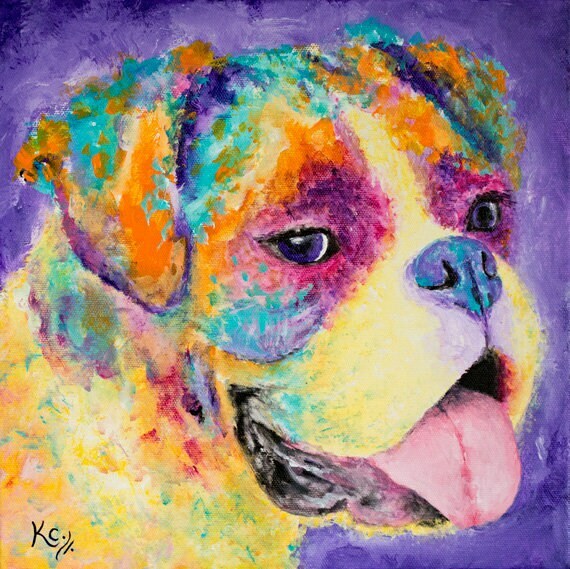 The size of this colorful boxer painting is 12 inches by 12 inches by 1.5 inches, and the medium is acrylic on canvas. 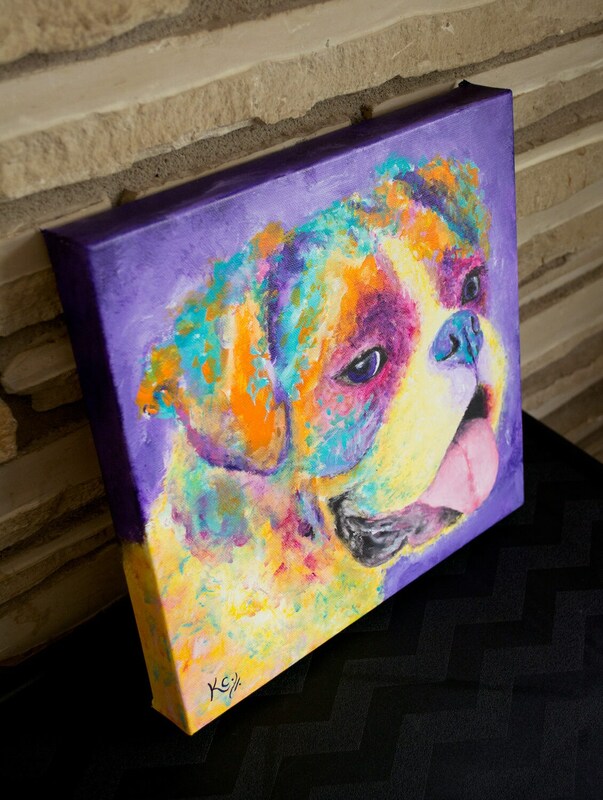 This art piece would make an awesome gift for anyone who has a boxer, likes dog art, a pet portrait, pet paintings, or colorful paintings of dogs.